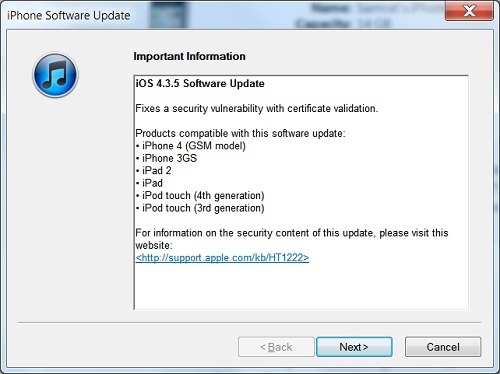 Just a few days after iOS 4.3.4 came out, a new version of the OS “iOS 4.3.5” has been released that “fixes a security vulnerability with certificate validation.” The CDMA version of iOS has also been updated to 4.2.10. The update is available through iTunes, or you can download the specific version for your iOS device directly from the links below. Ofcourse jailbreakers should stay away.